For over 50 years Our Daily Bread has touched the hearts and lives of millions of readers. 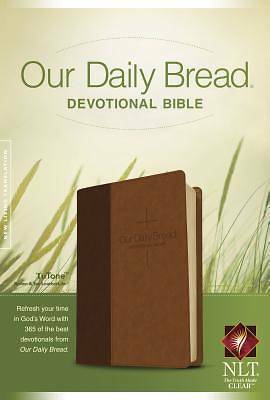 Now, for the first time, the most widely used devotional in the English language is available as a daily devotional Bible. Featuring 365 devotions and using the New Living Translation text, this Bible offers the reader a way to spend time in God's Word and find deeper meaning every day.